Katelyn Myers is widowed when her husband is killed in the line of duty. She is left with 2 small children to raise and a secret that she must keep to protect her family. She is lost without her husband and completely heartbroken. Years later a friend leads her to a site designed to help widowed parents. Kevin Summersby is a widower when a drunk driver kills his wife. He is left with two small children to raise but is so heartbroken he turns to alcohol for comfort. Years later his sister leads him to a site designed to help widowed parents. They connect on the anniversary of her husband’s death on the site and become close friends. When they finally meet sparks fly and it is love at first sight. Her past comes back to haunt her and she must choose between love and running for her life. Can she trust him with her secret? Will they find happiness again? 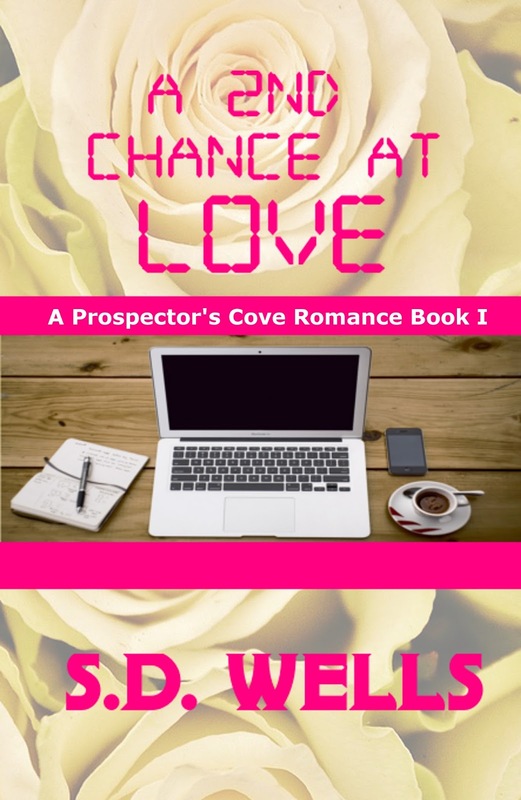 Will they have a 2nd Chance at Love? If I tell you that won’t I have to tell you my name? Katelyn replied! Isn’t this suppose to be anonymous? How about I tell you my name first and then you can tell me yours. LOL….Katelyn Myers, mother, journalist and hopeful author. I like to make up bedtime stories for my kids. Scott convinced me to write them down and someday I hope to get them published. That sounds cool! Now tell me about your column. You say it’s an advice column? Yep but it’s not like your normal everyday advice columns. I give advice on cooking, cleaning and child care. Oh dear God you’re the Cleaning Lady! Oh you know my column! My mom and sister read it and have told me I needed to write you. Oh it’s true but still it’s sexist. LOL you are a riot Detective SummersbyWell I do try Sweet Cheeks. Oh I don’t know it just came to me….do you mind? No I don’t mind as long as I can give you a nick name too. And what do you have in mind? Oh I was thinking Officer Stud Muffin would fit you. “Why?” She shrugged and he removed his shirt. She ran her hand over the raised skin of the ugly scar. “It seems that way sometimes.” They both laughed and he was having a hard time concentrating as her hands moved along his chest. He kissed her lightly at first before he deepened it. He pulled her closer as she wrapped her arms around his neck. He had begun unbuttoning her shirt as he laid her on the sofa. S. D. Wells is a housewife, a mother, and an author. She grew up in Texas and married her best friend in 2001. She loves to read and has always dreamed of being a writer. Now with her first book due to be released on January 29th 2016, she is making that dream come true.